It can be hard to be a college student. The many hours of study, plus juggling a regular job, student activities, work study — it’s a lot of pressure. Adding onto the regular stresses of college life, a lack of sufficient public transit service to get to class, appointments or work is not something students should have to deal with. But for students at Umpqua Community College, it is a reality. Quentin knows this struggle well. A student at Umpqua Community College, Quentin studies Spanish and Health. He depends on public transit to get to class. Regular bus service can make the difference between whether Quentin gets credit or not. Currently, Umpqua Transit provides regular bus service Monday through Friday, but does not offer weekend service. 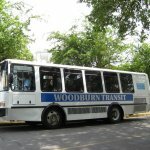 Most bus service ends around 7:00 p.m. weekdays, making it difficult to take night classes, participate in evening study groups, or hold a job in the evenings after class. “Most night classes end around 6:00, but the latest bus to my town comes at 5:45. So there are some classes I can’t take at all,” Quentin told us. And it isn’t just Quentin who depends on public transit. Quentin lives at home with his parents, younger brother, and older sister — and the entire family relies on public transit. His parents are disabled, making public transit an essential lifeline to get to their appointments. “My family relies on public transit for pretty much everything,” Quentin told us. 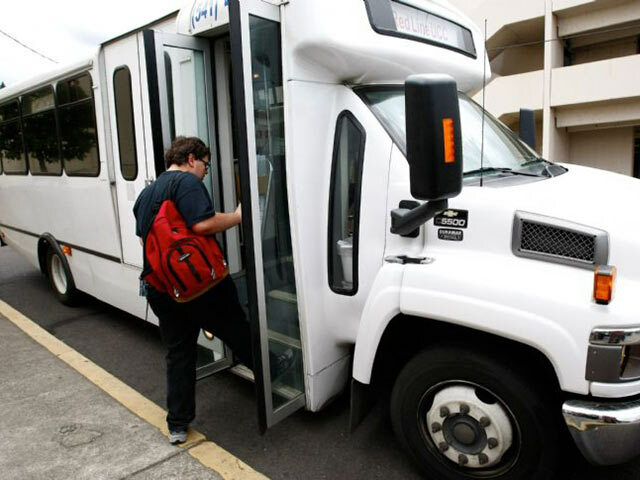 Umpqua Transit does provide paratransit services — a shared-ride, public transportation service for people with disabilities. “It can be difficult for my parents to rely solely on bus service with their disabilities” he said. Luckily for Quentin, he is able to ride transit for free using an Umpqua Community College term pass. Except over spring break. Quentin isn’t sure his pass will work in between terms. “I was thinking about taking the bus to an appointment on Friday, but I don’t think the pass from last term will work. I don’t know if I have enough money to ride the bus without it. I may need to reschedule for when I can use my pass again,” said Quentin. Quentin’s story shows why a modern transportation system with many options is vitally important. Providing our communities with options for getting to their jobs, the store, doctor’s appointments, and to get their families around town can make all the difference for some families being able to access necessary resources. For people who can’t drive, like Quentin’s parents, safe and convenient transit options are not a luxury, but a necessity. Expanding access to public transit is a critical need in Oregon — especially for communities like Roseburg that do not offer weekend or evening bus service. Currently, Oregon contributes only 3% of transit operations funding, compared with state contribution of over 24% nationally. 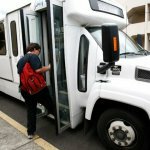 This legislative session, Oregon lawmakers have an opportunity and an obligation to correct the public transit funding inequity. Families like Quentin’s are depending on them to make things right. 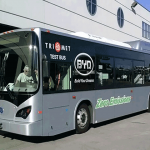 Read more about Transportation for Oregon’s Future. 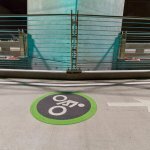 Speak Up for Transportation Options in Oregon! 2 Replies to "When Public Transit Options Are Few: Quentin’s Story"
I totally agree. 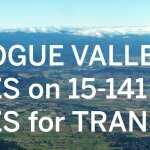 We need to have a much more comprehensive public transit system throughout Oregon, including rapid transit throughout the Willamette Valley & eventually from Vancouver, BC to San Diego, CA. 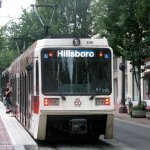 I live in Corvallis & a while ago I had 2 doctor’s appointments in Portland, at 2 well-known locations, the Oregon Health Sciences University & the Health & Wellness Center in the South Waterfront, which are connected by tram. So I was looking forward to taking public transportation over there, thinking it wouldn’t be a problem. But I looked at 3 different modes — train (have to go to Albany by bus to catch train), Greyhound bus, & airport shuttle. And although it normally takes between 1 1/2 to 2 hours to get from Corvallis to Portland by car, no matter which of these ways I took, it would’ve taken me at least 6 hours to reach my destination due to having to take multiple bus lines, including walks between bus stops. This is ridiculous! I ended up having to rent a car. Japan introduced the bullet train over half a century ago, & Europe, China, Singapore & other countries have developed very efficient, intricate public transportation service, including rapid transit, yet the US remains so backward. 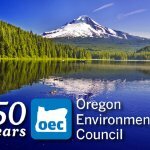 College students abound in the Willamette Valley from Eugene to Portland, & young people in general are trying to get off dependency on the car because they know it’s key for maintaining a sustainable world. 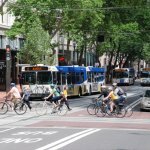 We need to assist them & the whole Oregonian population in developing a comprehensive public transit system that makes our lives more convenient, efficient & sustainable. Your experience also highlights why a comprehensive, equitable, statewide transportation package is needed! Thank you for sharing your story. We appreciate your support!